Gerhard Steidl, the world’s most prolific independent publisher of photography and art today is offered a major exhibition at the Elysée museum in Lausanne. The list of artists he publishes is like a celebrity roll call and includes the fashion diva Karl Lagerfeld and the legendary Robert Frank. But Steidl is not out to impress. He only wants to share his passion for images and get us to turn the pages. In a curious twist of events, one of the first and finest museums in the world dedicated to the art and culture of photography is not presenting photography alone this time. The Elysée has invited the German publisher Gerhard Steidl to show how photography is an art form that happily espouses the printed page. The exhibition illustrates the process that leads to the books considered to be some of the finest in the art world today. 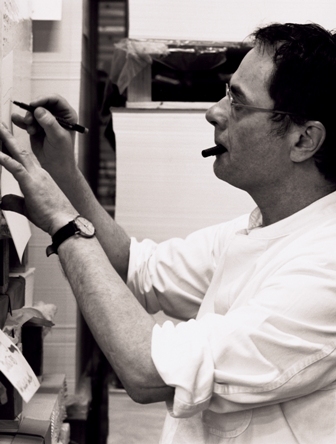 Steidl’s discrete and faultless savoir-faire is the reason that artists have kept coming or returning to him for the past 40 years. His first collaborations at the age of 17, were with Joseph Beuys, the sculptor and performance artist whose art extremism would normally have terrified such a young man. Instead, Beuys encouraged Steidl to consider printing as a form of art, allowing him to multiply works, as Beuys himself was doing with his own projects. “The way he made my book reminded me of the drawings that Picasso or Frank Lloyd Wright sketched rapidly on a restaurant’s napkin: he had understood the concept in ten seconds” the Canadian photographer, Jeff Wall, whose enigmatic compositions seem to fly out of Steidl’s pages writes in the stark but luscious catalogue. The co-curators of the exhibition, the museum’s director William Ewing, and Nathalie Herschdorfer have been preparing the show for over a year.“It is the transversal quality of Steidl’s work that we find so interesting, his capacity to work closely with artists and produce objects of great beauty. We wanted to show that photography does not have to be shown on walls” said Herschdorfer. And indeed the display is more a voyage into the heart of bookmaking than a visit to a museum. We are taken into the ‘House of Steidl’ in Göttingen (two hours north of Frankfurt in Germany) or in ‘Steidlville’ – as the American artist Roni Horn has affectionately renamed it. Simultaneously editing house, printing factory and design studio, it is also a hostel for artists and home to Steidl, all wrapped into one. The Elysée museum has been transformed to reproduce the sense of creative excitement present in Steidl’s environment, with separate sections dedicated to different stages of the production and printing process. “This included making changes until the very last minute, when new pieces would arrive to replace the ones already in place” admits Nathalie Herschdorfer, as if the Elysée itself had become a 24-hour printing press. All of Steidl’s publications begin their lives in large grey boxes that become the receptacles of the messages of exchange, artist’s desires, prints, CDs, paper samples and other inspirational elements, that William Ewing calls “the raw material” of the books. Several are carefully orchestrated in the display. “Artists have a better chance to be published with me when they send handwritten letters. This immediately creates a link, even if the person is on the other side of the ocean” Steidl revealed. Featured artists include Jim Dine, whose hallmark hearts are in many permanent collections museums all over the world; Raymond Depardon, the Pulitzer-winning French photo-journalist who co-founded Gamma agency; Deborah Turbeville, a Harper’s Bazaar former editor who produces vintage-like scenes; and the Swiss-born grand master Robert Frank, whose The Americans revolutionized documentary photography. They are amongst the 400 artists whose works Steidl has brought to new life. Stedil’s collaborations also extend to the world of fashion and glamour. 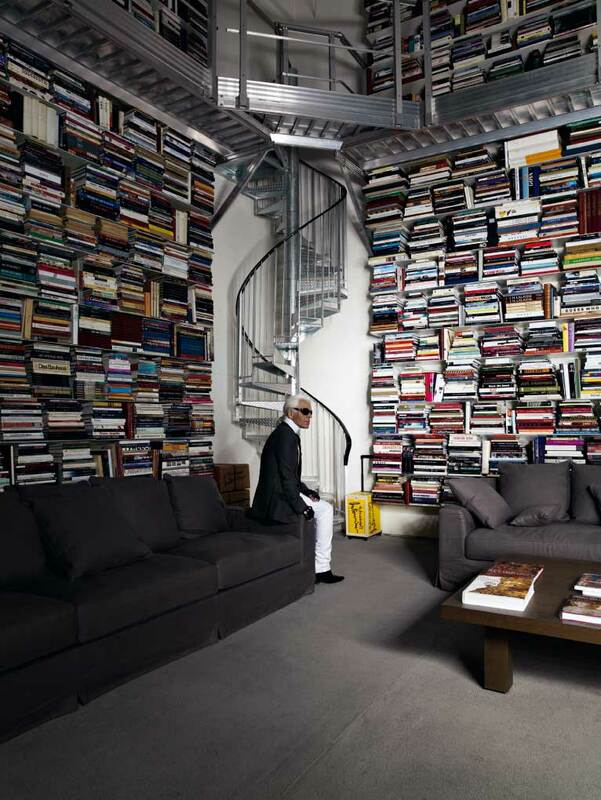 Karl Lagerfeld, who shares his passion for photography and books, has entrusted him with numerous Chanel image campaigns. A Chanel font, used worldwide by the House of Chanel, is a result of their artistic partnership. Immersed in a world of icons, how does it feel to become an icon himself, asked Swisster? “Although it’s a very nice experience to have an exhibition, status does not interest me. I’d much rather be at home with my paper and ink” Steidl replied. “Reading is a solitary activity. It doesn’t help to be surrounded” he added, admitting that an exhibition on books is in fact a paradox. “My main interest is to know that the knowledge I have been developing with my artists is moving onto the next generation. The Lausanne University of Design (ECAL), for example, has some excellent students” Steidl concluded brightly. Steidl’s books are a mixture of “intellectual content and form” for what he qualifies as his niche market of 15,000 or so readers. The present exhibition allows Steidl to broaden his audience and the Elysée to demonstrate that photography is story-telling that lives handsomely in books as well.